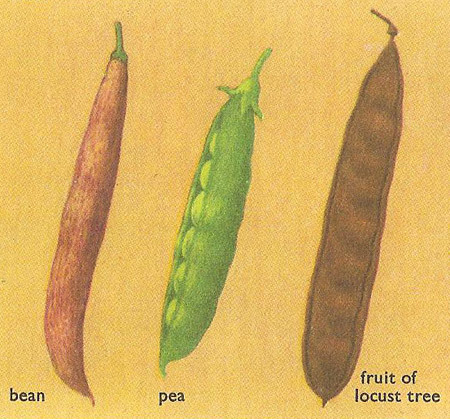 A legume, also called a pod, is a multiseeded dry fruit of a leguminous plant (see below) which liberates its seeds by splitting along two margins, in for example the bean and the pea. See also follicle. A leguminous plant is any plant of the pea family (Leguminosae) the fruit of which are called legumes. In terms of number of species, this family is second in size only to the Compositae. There are many economically important species including acacia, alfalfa, bean, lentil, pea, and soybean. The roots of leguminous plants produce nodules containing nitrogen-fixing bacteria (see nitrogen fixation).